Swansea, the second largest city in Wales, is a city with much to offer for tourists on a self catering cottage holiday. Stay in rented holiday accommodation to be as free as a bird and come and go at your pleasure. There are no specific mealtimes with self-catering stays, just an attractive suite of rooms just to yourself where you can rest and relax. Holidaymakers staying in Swansea will want to be out and about on holiday, seeing the sights, and having a good time. Places to stay just outside the city offer the chance of peaceful coastal and rural breaks with visits to the city. The accommodation on offer is carefully prepared for guests wanting to stay in Swansea and surrounding countryside with much more on offer than a comfortable bed for the night. WiFi, hot tubs and other facilities are all included in the rental price. There are monuments, museums, beaches, activities and more. Whether you are looking forward to an action packed country cottage holiday or for a relaxing vacation, Swansea has lots to offer. There are many tourist attractions in Swansea that you can visit including Plantasia, National Showcaves Centre, Brangwyn Concert Hall, Gower Heritage Centre and Dylan Thomas Centre, which is the National Literature Centre of Wales. You can also visit the Swansea Vale Railway, Mumbles Pier, Cefn yr Erw, Environment Centre and the nearby Golden Bays of Gower. Swansea in the South of Wales nestles many impressive castles like the Oystermouth, Weobly, Oxwich, Pennard, Penrice, Loughor and Swansea Castle, which you can visit during cottage holidays. Swansea also boasts some of the finest parks in the whole of Wales, such as the Clyne Gardens and Country Park as well as the Singleton, Brynmill, Cwmdonkin, Victoria Park and St. James Park. Besides, the impressive Margam Country Park is famed for its maze and organery, which are respectively reputed to be the largest and oldest in Wales. You can visit museums and galleries on a country cottages break, along with going to the beautiful Swansea Beach. Nearby these attractions, you can find numerous self catering cottages. Use our search assistant to help you find the right cottage for you. 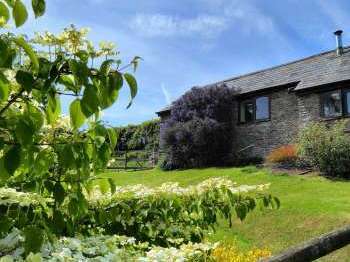 Search for dog friendly cottages, coastal cottages, cottages in the countryside, large country houses, cottages with hot tubs and more. You can even search for cottages with games rooms. Whatever your needs, we trust you will enjoy looking through the self catering and country cottages on Country Cottages Online. Please note we have no country cottages or cottages to rent in Swansea currently. We recommend that you take a look at cottage rentals in Wales. Alternatively our Search Assistant can help with your search for a suitable holiday cottage in Wales. Why not take a look at available Wales?